ASSSA MEDICAL AND HEALTH INSURANCE IN SPAIN. 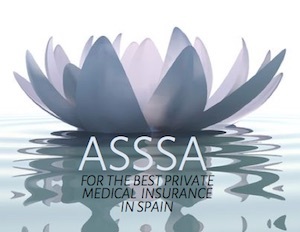 ASSSA IS THE MOST POPULAR EXPAT PRIVATE MEDICAL & HEALTH INSURANCE COVER FOR EXPATS IN SPAIN. ASSSA was established way back in 1935, so have been here a long time and understand the marketplace for Medical and Health insurance for Expats living, working, or retired, in Spain. With professional experience extending over nearly a century, it is no wonder that they are leading the way forward today. 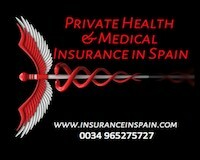 www.insuranceinspain.com are delighted to team up with the ASSSA medical and healthcare plans as we believe them to be one of the best in the marketplace and one of the more affordable options that provides a guarantee of a fixed premium for life. The earlier you join the cheaper your lifetime insurance premium will be. Health Insurance Cover in Spain for Expats. ASSSA (Agrupacion Sanitaria Seguros S.A.) offer a contractual guarantee for life that no health insurance policy will ever be cancelled due to age, illness or high usage. This is a huge benefit as many other private medical and healthcare companies in Spain can and do cancel policies that are costing them large sums of money to provide for the care needed. Your premium will be fixed for life and will never increase due to your increase in age. The premium you pay when you join will be the fixed premium for the rest of your life. So no increases in your premiums which means you can relax and have that peace of mind and budget safely in the knowledge that your private medical and healthcare costs in Spain will never go up. ASSSA provide all documents in English and provide personal and professional assistance in English. Policies and documents are also available in other languages upon request. The after care service and assistance is backed up with a simple and fast authorisation procedure. ASSSA Insurance have been experts in Private medical and Healthcare insurance in Spain for over 80 years, so you will be using a tried and tested system that has stood the test of time. You can join ASSSA Insurance up to the age of 74 and it is worth consulting us if you are over the age of 74 and are looking for Private Medical and Health insurane in Spain, as, in some cases we may be able to provide cover. Immediate access to private healthcare facilities in Spain with no waiting lists. Immediate cover from day one. Immediate cover from day one for private medical cover to see your own GP, specialists or emergency hospitals. Round the clock, 365 days a year emergency assistance is available. Free choice of top doctors. ASSSA Medical and Health Insurance provides a comprehensive and extensive medical directory of doctors and specialists you can use. ASSSA uses some of the top international clinics and specialists. ASSSA private health insurance provides preventative care with extensive annual check-ups and second medical opinions. International medical assistance, including repatriation and with up to €12,000 in emergencies. Private hospital rooms for surgical and medical in-patient hospitalisation including a bed for a companion. Gp and Nursing care available at home. CAT scans, Nuclear Magnetic Resonance, vascular haemodynamic, digital arteriography and so much more available for you should the need arise. Oncology with chemo and radiotherapy, laser therapy, oxygen therapy, blood tranfusions, physiotherapy and a whole host of some of the sophisticated treaments now available with medical advancement. Annual dental check-up and cleaning. ASSSA also provide an extended Dental Insurance package in Spain with guaranteed services, which you can add to your plan or take out as a seperate individual policy up to the age of 99 with no limitations for pre-exisitng conditions. These quality dental care packages are to provide extra dental cover for consultations, extractions, fillings, endodontics, periodontics, preventive odontology, prothesis, aesthics, oral surgery, implantolgy and orthodontics. family planning and childbirth preparation. Medical assistance for traffic accidents. €10,000 for total or permanent disability caused by an accident.